Mark S. Warshavsky is the Practice Leader of the Firm’s Consulting Group, and the Partner-in-Charge of its Business Valuation and Litigation Services Group, one of the largest in the New York metropolitan area, with a team of certified business valuation professionals and forensic accountants. He has multiple credentials in the fields of business valuations and forensic accounting, and is a licensed New York State private investigator. Mr. Warshavsky is also a member of the firm’s Executive Committee. Mr. Warshavsky is retained by law firms, businesses, financial institutions, insurance companies, Receivers, Trustees, and individuals to provide services in diverse areas of business valuations and forensic accounting, including complex litigation assignments. He serves as an expert witness and consultant in both federal and state courts, as well as in arbitration cases. Mr. Warshavsky has also been selected as a court appointed neutral expert and arbitrator, and is approved to accept appointments as an accountant and business appraiser in several counties of New York State pursuant to NYS Part 36 of the Rules of the Chief Judge. He serves as an Arbitrator/Mediator for the American Arbitration Association’s (AAA) National Roster of Arbitrators, a leading provider of Alternative Dispute Resolution Services. 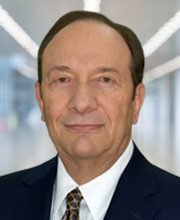 Mr. Warshavsky is an active member of several professional organizations within his discipline, including serving as a past Chairman of the Business Valuation Committee for the New York State Society of CPAs. He also serves on the editorial advisory board of several national journals, for which he peer reviews articles submitted for publication in the areas of business valuation, forensic accounting, litigation support and expert witness services. He is a contributing author of the book Financial Forensics Body of Knowledge, published by Wiley. Mr. Warshavsky was the 2017 recipient of the Thomas R. Porter Lifetime Achievement Award, awarded annually by the National Association of Certified Valuators and Analysts (NACVA). This award is presented to one member each year who demonstrates exemplary character and leadership in their profession and community. Mr. Warshavsky was awarded The CPA Journal’s 2013 Max Block Award for outstanding article, in the category of Informed Comment, for his article “The Role of the Forensic Accountant in Litigation Cases,” published in the journal’s June 2013 issue. Mr. Warshavsky is a nationally recognized speaker and has lectured to a variety of professional groups, including several state CPA societies, the American Institute of CPAs, the legal community, and other professional organizations on topics related to business valuations and forensic accounting. In addition, he is an instructor for NACVA, and has lectured to its Consultants Training Institute. Mr. Warshavsky has been presented with the Instructor of Exceptional Distinction Award by NACVA for several years, which is based upon participants’ evaluation of instructor’s performance. He is a founding member of NACVA’s Forensic Accounting Academy, and has been a contributing author in developing course materials in the areas of business valuations and forensic accounting for its accreditation curriculums. He also serves on the NACVA Exam and Grading Committee, critiquing business valuation reports of candidates for the Certified Valuation Analyst designation. Mr. Warshavsky has attained the following licenses and certifications: Certified Public Accountant (CPA), Accredited in Business Valuation (ABV), Certified in Financial Forensics (CFF), Certified Valuation Analyst (CVA), Certified Business Appraiser (CBA), Accredited Senior Appraiser (ASA), Certified Fraud Examiner (CFE), Master Analyst in Financial Forensics (MAFF), Diplomat of the American Board of Forensic Accounting (DABFA), Masters in Business Administration (MBA), and Private Investigator licensed by the New York State Department of State. Mr. Warshavsky donates his time to his profession and community through his participation in various organizations. He is a past President of the New York State Society of Certified Public Accountants’ Nassau County Chapter, with over 5,000 members. He is a past member of the Board of Directors of the American Heart Association, Long Island Region, and the Professional Experience & Placement Advisory Board for Long Island University, Post College, and is active in several local and national charitable organizations. Is My Company Worth More Because It Is an S Corporation?